Yesterday, Riot Fest Chicago’s 2017 lineup was announced, and it includes a long-awaited Jawbreaker reunion, the continued that dog. reunion, and much, much more. Like Riot Fest has done before, ten bands on the festival will perform an album in full. 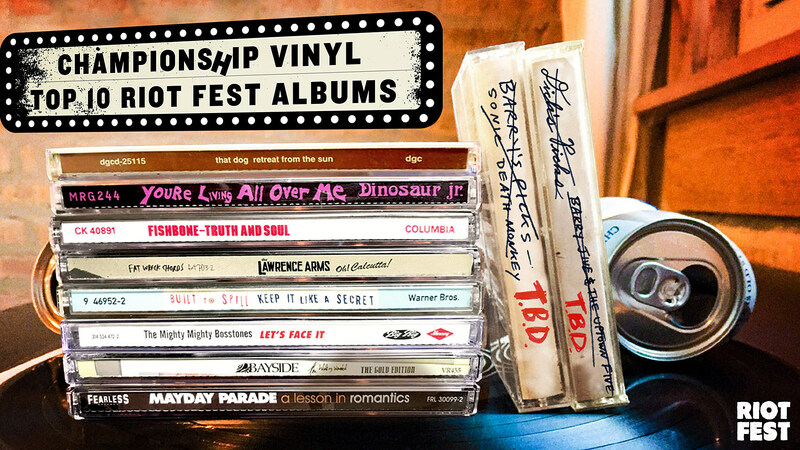 The Riot Fest organizers chose the albums alongside independent Chicago record store Championship Vinyl. Among the albums being performed are classics like Dinosaur Jr‘s You’re Living All Over Me (30th anniversary), Built to Spill‘s Keep It Like A Secret, that dog.‘s Retreat From The Sun (20th anniversary), Fishbone“s Truth and Soul (30th anniversary), The Mighty Mighty Bosstones‘ Let’s Face It (20th anniversary), and The Lawrence Arms‘ Oh, Calcutta!. Check out the full list below (there’s still two more TBA). Riot Fest’s crazy good lineup also includes Nine Inch Nails, Queens of the Stone Age, New Order, Paramore, M.I.A., Wu-Tang Clan, TV on the Radio, Mike D of Beastie Boys, Taking Back Sunday, Bad Brains, X, Buzzcocks, Say Anything, The Menzingers, Beach Slang, Liars, GWAR, Downtown Boys, and so much more. Full lineup here. Get tickets here. The whole thing goes down September 15-17. 9. TBD – Announcing Soon! 10. TBD – Announcing Soon!